UFOs or otherwise known as unidentified flying objects. Most of the flying objects that occur on earth are generally from our earth and heavily monitored with technology. 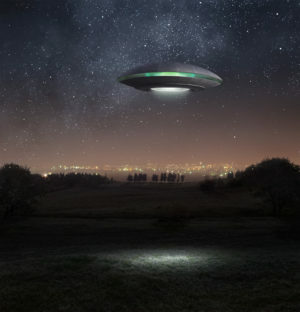 UFOs are generally classified as anomalies that are completely unidentified and in identifiable. The most general definition of the UFO is something that’s apparent in the sky that is not identifiable as any known object or natural phenomena. Normally what happens with UFOs is that they are identified later or explained as a natural phenomenon but until a flying object is identified as being man-made or natural phenomena it keeps its title as a UFO. The title of UFO was originally created in 1953 by the United States Air Force so that they could record and review any instances where a flying object was logged in official reporting. In government documents UFOs are also sometimes called UFOB’s this type of airborne object usually has aerodynamic characteristics, performance or strange features that don’t currently conform with any type of missile or aircraft known to man. In the original classification of UFOB only a few of the recorded instances from the USAF have managed to retain their full qualification as a UFO or UFOB. Throughout the 1940s and the early 1950s UFOs were more commonly called flying saucers are flying discs. This image of a UFO seemed to persist through early sci-fi folklore and only really became UFOs during the Cold War with an interest in national security. Everyone involved in the Cold War conflict was testing new types of aircraft, missiles and more throughout this time. As a result any unidentified flying object needed to be logged and heavily reviewed. This really became one of the first large-scale reporting efforts for UFOs in the world and since UFOs became a natural security concern there have been reports almost worldwide that are consistently reviewed almost every day. 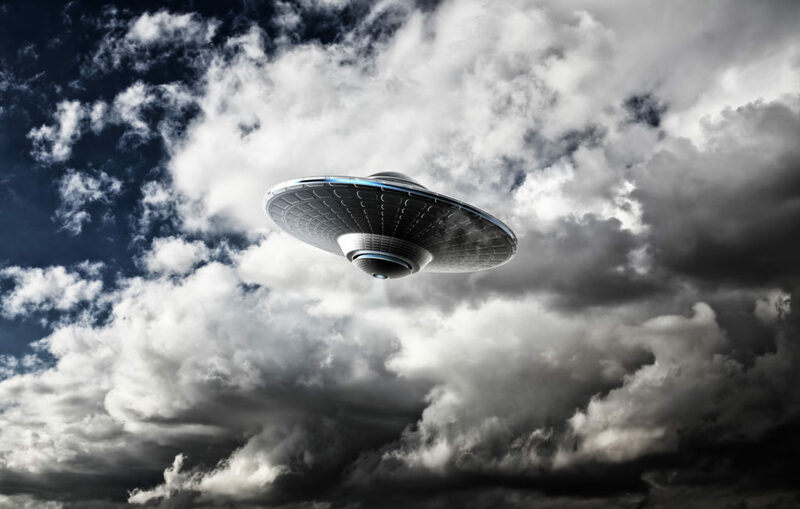 Although most people are quick to associate UFOs with conspiracy theories or a cultural phenomenon it possible that one day one of these unidentified flying objects could prove an association with extraterrestrial life. There have been many different studies into UFO observations throughout the years. While statistical estimates range between 5% and 20% as the reported UFO sightings in the year go unsolved or unexplained, there are some that have dedicated their careers to debunking UFO cases. One of the first steps in researching ufology is to rule out any type of earthly explanation or classification and this can involve going through schematics for airline development, looking for similar markings on today’s aircraft and missile designs as well as trying to find a natural explanation such as a weather event. A UFO all the just will also then have to prove that any of the sighting material whether it is video, picture evidence or a first-hand account, is accurate. Quite often when reports are filed they are filed with some type of evidence that is quickly refuted as a fake. In today’s digital age is very easy to submit a false for Photoshopped UFO evidence file and this can only tie up government resources. If proof can be found that the evidence is real however quite often this involves a greater in-depth study. With many of today’s balloons, drones and other technology however this is also getting more difficult. More and more people have access to flying objects in our tinkering in their garages with remote control devices as well. When it comes to the study of UFOlogy there are a few organizations which include the Center for UFO studies, the mutual UFO network and the national investigations committee on aerial phenomena. There is still an overall lack of institutional scientific study but many of these organizations bind together academic researchers from engineering backgrounds, sociology and psychology backgrounds as well. With large teams of professionals looking into UFO sightings, meeting with first-hand account witnesses and reviewing the data with each encounter we are getting closer to some answers with some of the most odd and unexplained cases. Ultimately there are many people that immediately classified UFOs with alien spacecraft or alien life. In some cases a UFO can simply be chocked up as an object that we simply can’t explain that hasn’t come from earth or natural phenomenon associated with the earth. With scientists making new discoveries every day it’s important that we try and classify these new sightings when possible because we never know when the next great discovery could be around the corner. In many reports scientists are beginning to separate the presence of UFOs from the potential for an extraterrestrial vehicle by using the title ETV for UFOs that could potentially be unidentified crafts. Foo Fighters: during the 1940s over the world war theaters small metallic spears and colorful balls of light were seen and even photographed by bomber crews throughout World War II. Roswell: Ron as well as one of the most talked about cases in New Mexico as onlookers described the crash of an unidentified flying object. The Phoenix lights: in 1997 thousands of people saw V-shaped patterns in the sky for space of around 300 miles from the Nevada line. There are new reports coming in nearly every year including mass UFO sightings in Houston Texas and Colorado sightings as early as October of 2014. With so many instances occurring around the world user phenomena that we need to understand. Until more spending and research goes into the identification of these cases we may simply be left with more questions as to what the nature of a UFO is.